DISH offers 4 main packages, but which one is best for you? Read on for a detailed breakdown and review of each package, cost, and what they include. Shopping for a DISH TV package can be overwhelming. You just want to watch your favorite shows and games. But you find yourself getting sucked into additional channels and extra costs. Calm down. Take a deep breath. It's your TV package and it's going to be all right. 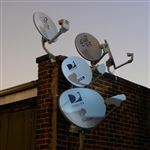 We're going to break down DISH's offerings so you can find the right package, at the best price, for your viewing needs. How much are DISH packages? DISH Network is the 3rd largest paid TV company in America and the 2nd largest satellite TV company. Based out of Colorado, their service can be purchased almost anywhere in the country. Satellite is different from cable, which has more regional networks. DISH Network has almost nationwide availability. You just need the ability to hook-up a satellite dish to your home or apartment. DISH offers one of the most programming options out of any TV provider. They have over 330 satellite channels. This includes local broadcast, sports, regional sports, general and special interest, and international. A large majority of these channels are in HD, which you get for free with a 2-year agreement. In addition to satellite TV, there are also tons of pay-per-view movies (including Hollywood Blockbusters before they even hit DVD), streaming shows that you can download to your mobile device, and Sirius XM radio. What is Dish Music and Sirius XM radio? Dish Music is DISH's music app. It lets you stream music to any DISH connected TV, or compatible Play-Fi enabled speaker. Just download the app to your smartphone or tablet, and you can begin streaming. You can even control the playlist and adjust the volume from the Dish Music App itself. Sirius XM is a streaming satellite radio channel. They feature 70+ channels of commercial-free music from all genres. They also have live performances, exclusive interviews, artist-dedicated channels, and much more. For a full review of DISH, their features, and pros & cons, read our detailed review. Tip: Depending on the retailer, where and when you enroll in DISH Network, there are varying incentives and offers for switching. Sometimes you can get a lower price for a set amount of time. The offers may change depending on when and how you purchase your subscription. For the latest offers, visit this page. America's Top 120 ($59.99/mo): 190 channels, including USA, CMT, Disney Channel, ESPN, E!, and Local Channels. America's Top 120 Plus ($69.99/mo): 190+ channels, including NFL Network and Regional Sports networks. America's Top 200 ($79.99/mo): 240+ channels, including NFL Network, Bravo, and Animal Planet. America's Top 250 ($89.99/mo): 290+ channels, including STARZ Encore, The Movie Channel, and Nat Geo Wild. As you move down the list, you get more channels and will pay more every month as well. Think about which channels you watch the most so you get the most for your money. Note: The prices shown are for new customers only. Dish guarantees these prices for the first two years of your subscription. After that, the regular/everyday prices apply. We've listed them below. The promotional prices are subject to terms and conditions. For example, you would need to sign up for their E-autopay service. The service automatically deducts the monthly bill from your bank account, debit, or credit card. Finally, you would also need to pass a basic credit check. If your credit rating doesn't qualify, Dish will offer another promotion based on your credit level. Free Hopper Duo - Can record shows from 2 TVs at once. 2-year price guarantee - For new customers, Dish offers a guarantee on their pricing for the first two years. Dish anywhere - Dish's mobile app. With the app, you can watch live TV, program your DVR, and watch recorded shows from your mobile phone or tablet. How do I use my DISH Anywhere? You can watch on your computer at dishanywhere.com, or get the DISH Anywhere app on your smart device. Log in with your DISH username and password. 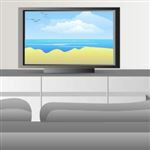 To watch live TV or DVR recordings, you must have a Sling-enabled DVR (such as the Hopper with Sling) connected to the internet. Now, we'll go over what each package entails. For $59.99 per month, America's Top 120 offers a good value with 190 channels. It's a good choice for families and casual sports fans. It's the most cost effective option that includes popular channels such as The Disney Channel, ESPN, Fox Sports 1, and news channels. For the bigger sport fanatics, you may want to upgrade to the America's Top 120+ for $69.99 per month. You get several additional sport channels, including regional sport channels such as Big Ten Network and Pac-12 Network. This is a great option if you are a die-hard college fan or loyal to your alma matter. For $79.99/mo, you can get 240+ channels. This is DISH Network's best, all-around option. This package is great for families with a wide range in taste, sport lovers, and reality TV lovers. It's the best option for true sports fans with interests that cover many different sports, commentary and analysis. This package costs $20/mo a month over the Top 120. It doesn't present as good of a value, but you may think it's worth it if you need the additional sport channels or reality/game shows. All in all, you get over 290 channels featuring almost every kind of content you can imagine. It is perfect for families, sport fans, and movie lovers. This is where things get both interesting and a little complicated. DISH also lets you customize, add and subtract different bundles based on your interests. If you want to have just the base pack but add extra sports channels, that's available for you. If you want to add premium networks and movie channels, then you can do that as well. DISH also has add-on international packs in 28 languages, including channels from Asia, Middle East, Africa, South America, and Europe. So if you want to keep up with the news and shows from your home country, you have the option. Sports packs, including MLB Extra Innings, NBA League Pass, and FOX Soccer Plus (and more). Prices vary. If you really like TV, then DISH Network is one of the best options on the market. For a cost that's less than four different streaming services, you get scores of channels that you can't find if you cut the cord. Those include local channels, live sports, movie networks and family shows that are only available on cable. If you are the kind of TV lover who wants to have and watch it all, then you don't have to miss out on streaming services either. You can use the Hopper, their smart DVR device, to watch shows on Netflix as well. HopperGo ($99): If you travel a lot, consider the HopperGo. It's a portable media storage device with a built-in Wi-Fi. You can transfer your recordings from the DVR unit onto the HopperGo. Once transferred, you can then stream it offline to any mobile, tablet, or network connected device. The HopperGo has 64GB of space, or 100 hours of DVR recordings. It also streams to up to five devices simultaneously. If you watch a lot of television, then DISH Network offers a very competitive option for a good price. The Top 120+ package is great value for the biggest games and local channels. And there are plenty of ways to mix-and-match any additional features you want. Whether it's for families, roommates or couples, there is a great way to bundle your channels to watch what you want. Leave a comment about DISH TV Packages: Prices, Bundles & Promotions?